Is this fate? Eunjung fell in love with Mongeul the moment she first saw him. And they’ve been together for 5 years. They have an inseparable relationship. They can’t leave each other. During the toughest moments, he gave Eunjung the biggest strength and courage. This is what Eunjung and Mongeul are like. T-ara’s Eunjung introduced Mongeul on TV Report’s Pet Companion. She gave him the name Mongeul because its fur is very lumpy. Mongeul is a Maltese breed, full of aegyo and courageous. Eunjung has owned puppies since a young age. Mongeul is Eunjung’s third dog. The time they started their relationship was special to Eunjung too. Back in 2012, when Eunjung was depressed because of a past incident, Mongeul appeared like a gift. Mongeul was like a guardian angel that looked over Eunjung. Mongeul was always by Eunjung’s side, showing its overflowing aegyo. He’s really quick-witted too. Mongeul would observe Eunjung’s mood and swiftly adjust his behavior to suit her mood. Eunjung said that after meeting Mongeul, every moment was joyful. She would say to Mongeul every day, “where did you come from? It’s really great to have met you.” Eunjung’s biggest wish is for Mongeul to not fall sick at any cost and live a very long life with Eunjung. 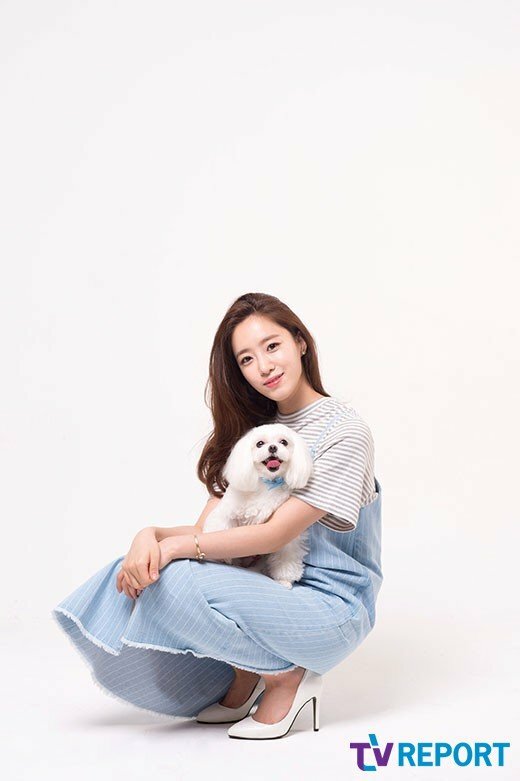 Eunjung and Mongeul took part in the donation campaign for the Pet Abandonment Relief that will carry on until June 5th at G9.